Families and schools can work easily together when they have the right tools. 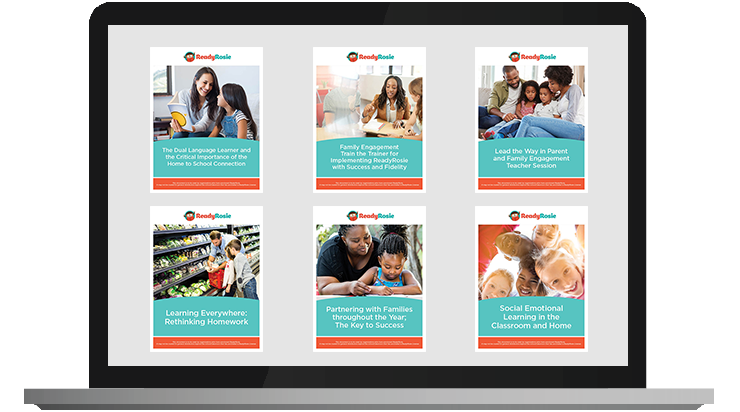 ReadyRosie is a birth through elementary cohesive family engagement resource that facilitates family partnerships for powerful student outcomes. ReadyRosie is a RESEARCH-BASED and STANDARDS-ALIGNED comprehensive family engagement resource that builds on parents’ knowledge. 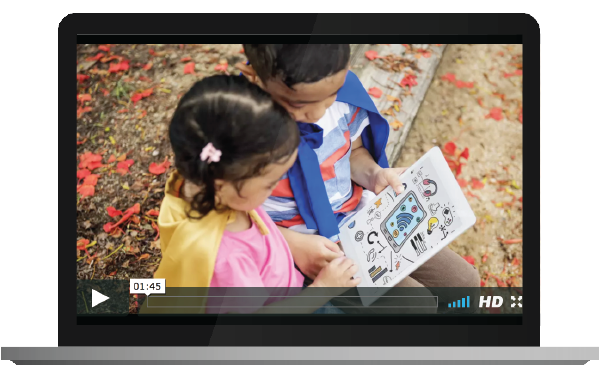 ReadyRosie harnesses the power of video modeling and mobile technology combined with collaborative workshops and professional learning to empower families and schools to work together to close the opportunity gap. See the growing list of school districts, communities, and programs using ReadyRosie. Here are the top 5 reasons school districts are using ReadyRosie to engage families and support whole-child learning! ReadyRosie has over 1000 "Modeled Moment" English and Spanish videos that are delivered to families via text, email, and website. See three examples below of our "Modeled Moments" videos. Allows educators to target specific skills. 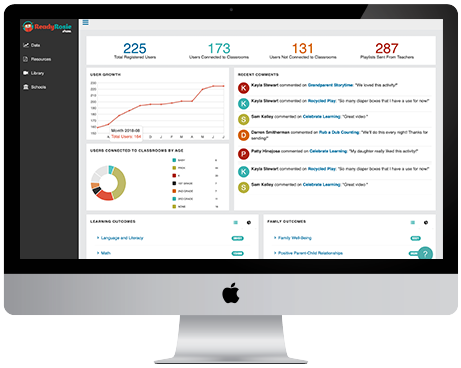 Allows educators to customize and individualize. ReadyRosie incorporates the latest research on family engagement, developmentally appropriate practice, state and national standards, 21st century student outcomes, family protective factors and CASEL Core SEL Competencies as the foundation of our learning games and activities. See the ReadyRosie Learning Outcomes and alignments to state standards here and here. Addressing topics like positive discipline strategies, healthy routines, language development, developmental milestones, fostering play and social emotional development, and more! See an overview of ReadyRosie Family Workshops here. See a sample of one of the ReadyRosie Family Workshops in English and Spanish. See more about how ReadyRosie helps programs measure outcomes and impact here.